Say what you like about North Amercian culture, because when it comes to building cars that people had an urgent nee dto own, Ford quickly worked out that the USA wa wherer it was at. It's why the new-for 1966 XR Falcon range had that coke-bottle hip and the Mustang-bred tagline on the adverts. It's also why teh V8 - as much a fixture in the US by then as handguns and pancakes - made it between the XR's frame rails as an option. The 289 cubic-inch (4.7-litre) V8 cranked out a claimed 200 horsepower which suddenly made the Holden red six look pretty crook. 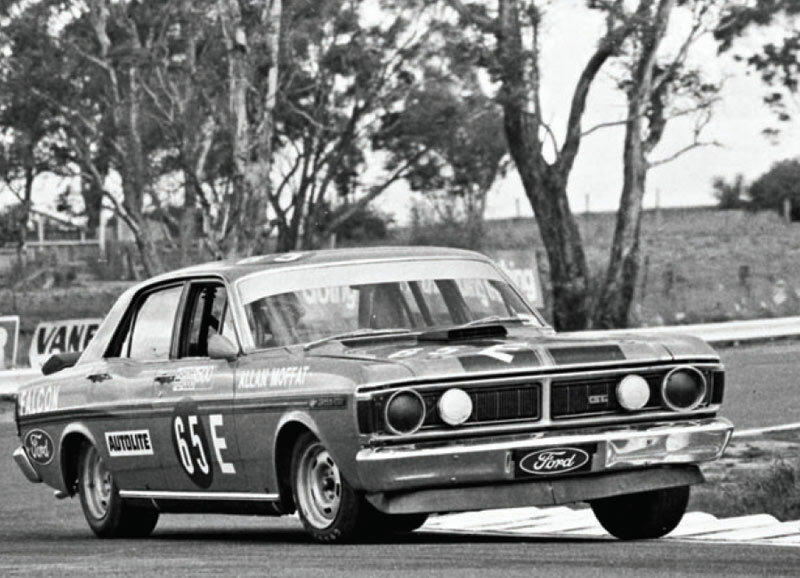 Bathurst 1971; The Australian Touring Car Championship in 1973. Both fell to the almighty Phase 3 GT-HO. But the big Phase 3 was more than just a successful race-car; it became the poster-child for the whole muscle-car movement, decades after it was dragging wide-eyed punters into Ford showrooms on a Saturday morning. And special it was. Even though HO officially stood for Handling Option, when you ordered a HO over an XY GT, you got a lot of hardware for the money. And serious hardware at that. The Phase 3 was designed to win races first and transport mum and dad second. Ford took the 'courageous' decision to axe the V8 option for the XF Falcon model of 1984. The replacement wa supposed to be the injected 4.1-litre six. It flopped. 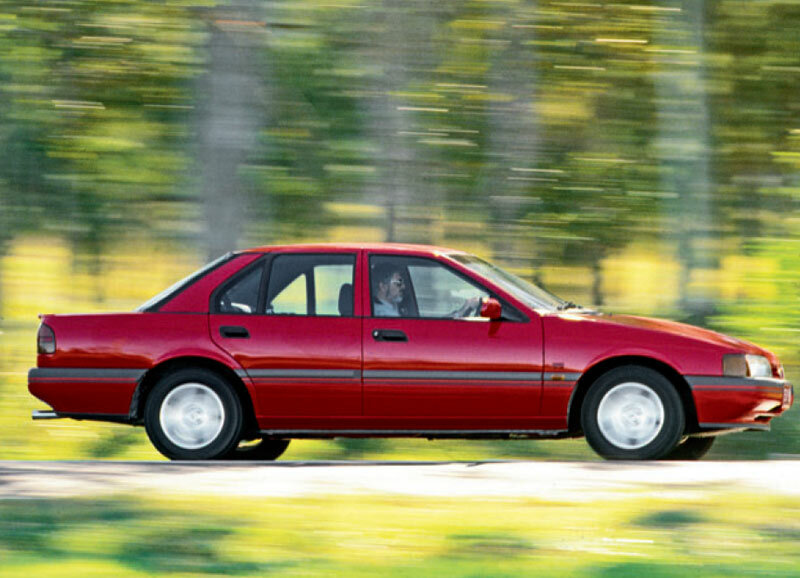 We didn't see another V8 Falcon until the EB of 1991. When we did, the Cleveland V8 was gone and in its place was the Windsor five-litre, complete with EFi. 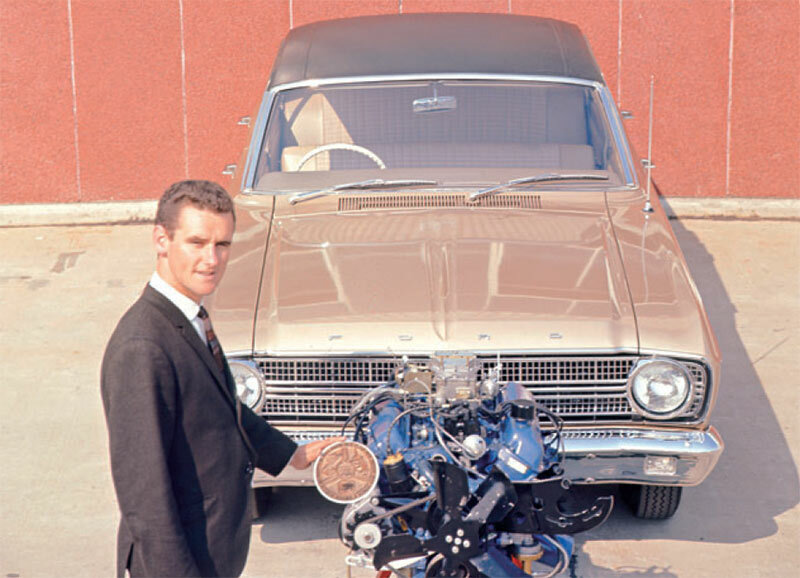 By then, of course, Ford also had the SOHC four-litre six that was introduced with the EA - a much better gadget - but even so, the V8 was greeted with open arms, hearts and wallet. 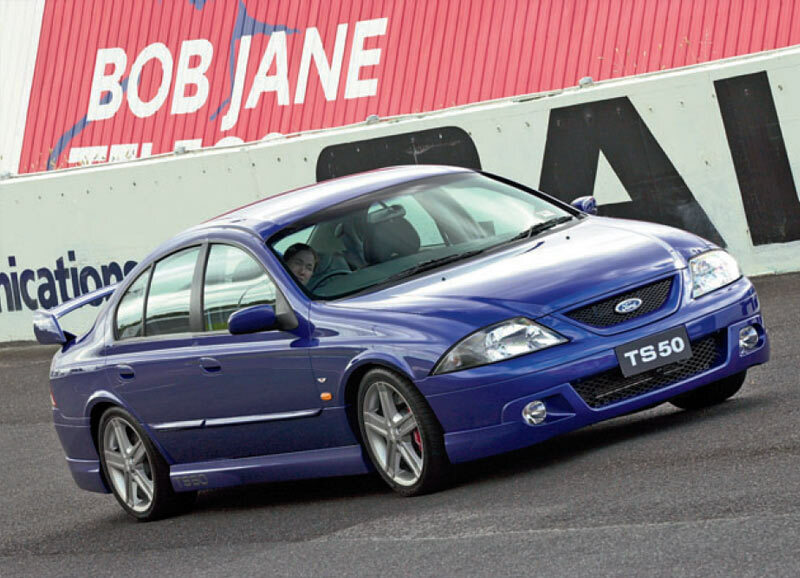 The V8 EB also ushered in the XR8 model, that ultimately sold an awful lot of cars for Ford. Throwing a stroked crankshaft into an engine is a time-honoured way of making it grunt harder. Ford's stroked Windsor of 2001 used an 86.4mm throw compared with the stock Windsor's 76.2 to bulk capacity out to 5.6 litres and performance to 250kW at 5250rpm and 500Nm of torque at 4250rpm. The whole thing was hand-assembled and man, did the thing grunt. The only thing more remarkable than its twist was its thirst. As well as the Falcon AU TS50 we've nominated here, you could also have your 5.6 in a TE50, a TL50 (Fairlane) and the XR8 Pursuit Ute. XR8 Sprint - the last word. Ever. As Ford Australia's US masters, the short-lived Abbott government and buyers of compact SUVs casually throw almost six decades of locally-made Fords and five decades of V8 Falcons on the scrap-heap, it's interesting to see how Ford Oz has responded. 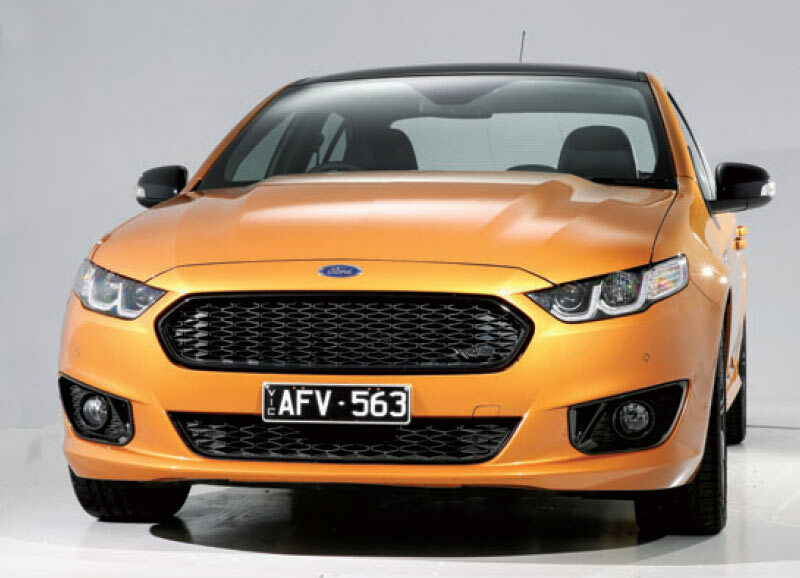 The result is the current-model XR8 Sprint and if anything, it serves to demonstrate what we could have looked forward to had we not all been in such a hurry to drive a jacked-up hatchback. Frankly, that supercharged five-litre V8 is a gem. It revs hard, runs smooth and can push the R8 Sprint through the quarter mile in a grip-limited 13s.